Like most people, I don’t hesitate to slather my face in a heady concoction of moisturizers, toners, masks and lotions. The same is probably true for my feet, legs and even stomach. But when it comes to my hands — my poor, dry, winter-ravaged hands — I’m very much guilty of neglect. Even under ideal conditions, when the pleasantly moist summer air caresses the skin, my hands tend to be a little bit on the parched side. But when winter hits, and the dry recirculated air blasts those chalky digits with a taste of the desert, dry turns to flaky, red, sore and sometimes a little bit eczema-y. The logical solution is to take a walk down the supermarket or drug store aisles in search of the smanciest lotion on the shelves. Something that promises smooth, supple skin for 24+ hours while nourishing the dermis from the inside out. Something that’s purportedly loaded with vitamins and minerals, but is really just a petroleum-based, chemical laden pot of cancer. Faced with this so-called “lotion” or nothing at all, your dry hands would undoubtedly choose nothing at all. Luckily, there’s another way — a healthier way. Inside your pantry and fridge lurk some of the most nourishing, moisturizing natural remedies for dry hands on the planet. And they’re all free… because you already paid for them last time you did the grocery shopping. Yogurt acts as a dry hand remedy in two ways. First, the creamy natural fats and proteins penetrate the skin and lock in the moisture. Second, the lactic acid present in all dairy-based yogurts acts as a natural exfoliator and cleansing agent that removes dead skin cells and smooths the surface of the skin. There’s a couple of ways in which you can enjoy the wonderful skin-nourishing benefits of yogurt. The simplest way is just to scoop out a small amount of plain, full-fat yogurt and gently massage it into your hands for a few minutes. Then leave the yogurt on your skin for another five to ten minutes and rinse off with cold water. The other, slightly more fancy way of treating dry hands with yogurt is to mix one tablespoon of gram flour with three tablespoons of plain yogurt. Once you’ve formed a thick paste, massage it into your hands and leave it on for ten minutes. Then rinse it off with slightly warm water and repeat once a day for a couple of weeks. This one will probably come as no great surprise — you’ve probably seen mention of “colloidal oatmeal” on any number of expensive moisturizers in the store. But while the hydrating power of oatmeal can’t be denied, the amount of this skin-nourishing ingredient in store-bought products is negligible. Instead of buying overpriced and underperforming oatmeal moisturizers for your oh-so-parched hands, then, why not make your own? Oatmeal acts as a natural exfoliator and also helps to seal in moisture, making it the ultimate overnight dry hand moisturizer. To make a natural dry hand remedy, simply mix together a couple of tablespoons of oatmeal with half a tablespoon of raw honey, adding a little water until it makes a thick paste. Rub the mixture gently into your hands and leave on for 10 to 15 minutes. Rinse off just before bed, and repeat every evening for smoother, more supple hands. Here’s another common household food that’s bound to take your hands from dry to dazzling in no time: lemon! Similar to oatmeal, lemon gently exfoliates the skin while helping to balance out skin tone and reduce blemishes. When mixed with baking soda, it creates a pH-balancing foaming agent that supports healthy skin. To make a dry hand lemon juice remedy, give your hands a rinse in warm water and gently pat dry. Then mix together equal parts lemon juice, baking soda and raw honey. Once the mixture forms a sticky paste, rub it into your hands, leave on for ten minutes (being sure not to touch anything), then rinse off with warm water. Try to avoid using hot water as this can dry out your skin again, ruining all your good work! Even though I’ve been using olive oil for decades, I’ve only recently come to realize just how amazing olive oil is for dry skin. It contains a wide range of nutrients and essential fatty acids, along with skin-nourishing vitamin E, that work together to prevent dryness and keep skin nutrient levels balanced. There’s really no reason to get complicated with olive oil — I simply rub it into my hands whenever they start to feel dry. I never rinse off afterward, as given time the oil soaks into the skin pores and helps to seal in the moisture. Coconut oil is another favorite go-to of mine for keeping my hands soft and supple — made all the more convenient because I can rub it on my hands while I’m cooking! While coconut oil doesn’t contain vitamin E, it does contain a wide range of amino acids and caprylic acid, which have been shown to boost skin moisture content and discourage the formation of troublesome bacteria and fungi. There’s also the added benefit of coconut oil’s natural sun protection factor — it’s only around SPF 8, but it helps to have a natural low-level sun protection that isn’t loaded with nasty chemicals like in typical sunscreens. Personally, I find coconut oil works best on dry hands after I’ve soaked them in water, either after a shower or after washing them in cold water. Applying the coconut oil immediately afterward, simply by rubbing it into my skin, helps to lock in the moisture and keep them smooth and supple for hours. Hey Buddy!, I found this information for you: "If You Have Dry Hands During Winter, Try This Overnight Trick". 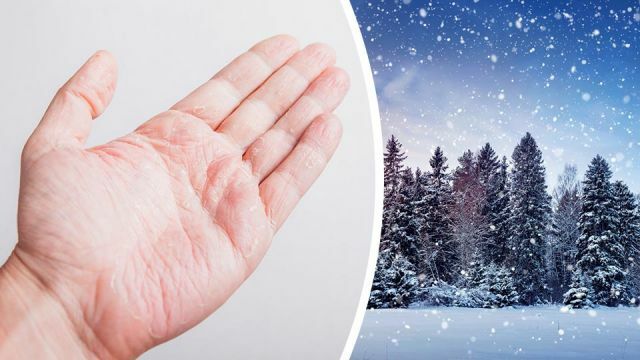 Here is the website link: https://www.thealternativedaily.com/if-you-have-dry-hands-during-winter-try-this-overnight-trick/. Thank you.